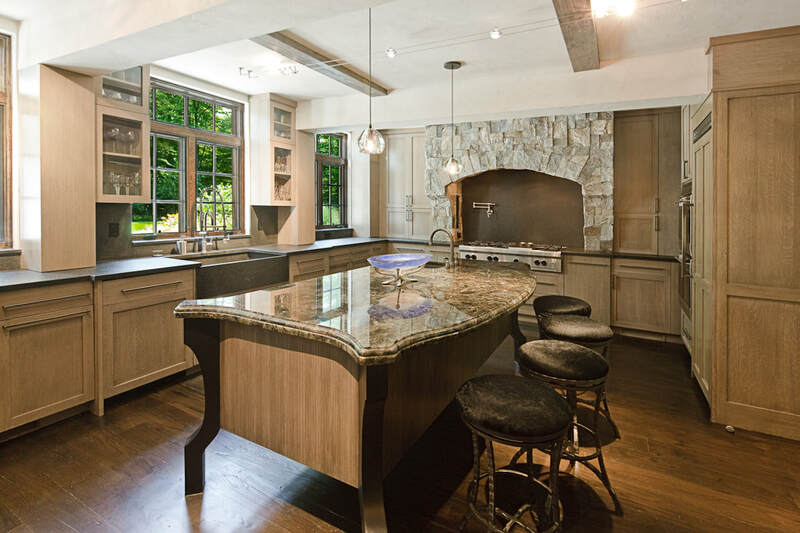 Robert M. Berger’s Custom Cabinetry Division designs and fabricates multidimensional, individualized cabinetry with handcrafted artistry and cohesive planning. When contemplating everyday living within a home, properly-designed and meticulously-placed cabinets are essential. Because Robert immerses himself in the ways his clients will utilize their space, he envisions and constructs cabinetry to complement a room, designing and building cabinets that become one with the home's character, without sacrificing practicality. Whether it’s an inviting wine room that’s meant to be noticed or glass-front kitchen cabinets that display heirloom china as works of art, Robert’s custom-made cabinetry is as exquisite, delicate and unique as the items that are stored within.